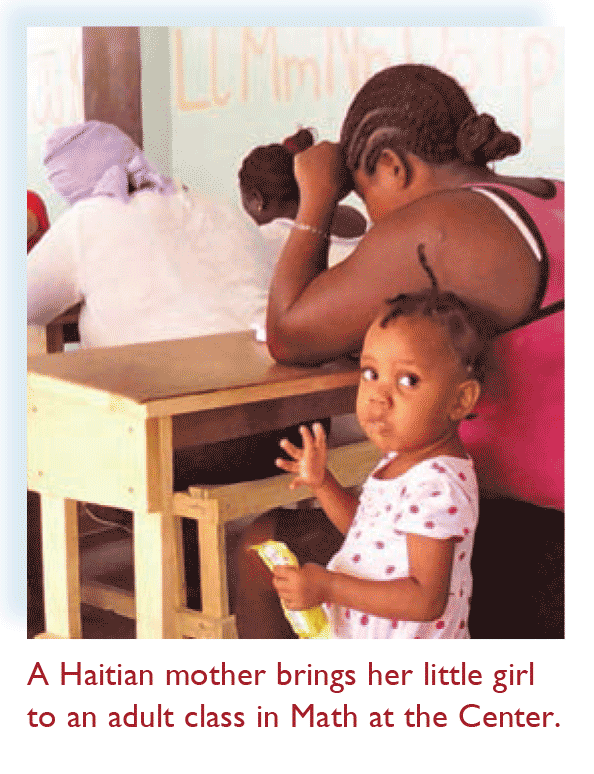 Notre Dame Mission Volunteers (NDMV) are partnering with Notre Dame Family Education Center in Haiti to facilitate expanded educational access and job readiness. 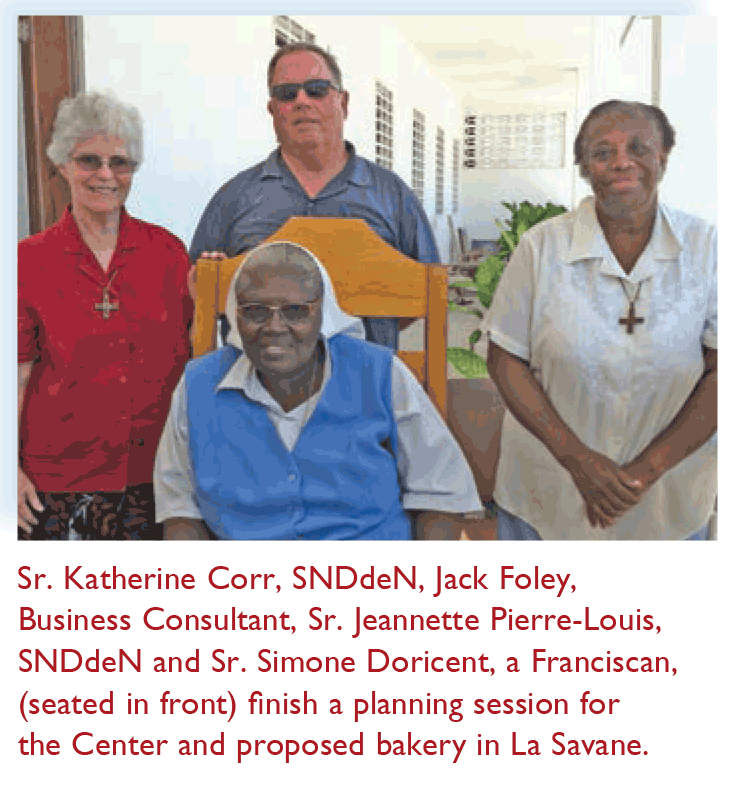 The Sisters of Notre Dame de Namur (SNDdeN) have been serving since 2009 in La Savane, a deprived neighborhood, located in the city of Les Cayes. Serving a community that has no social safety-net nor any basic government services, the Sisters opened a Center which provides basic education, health services, and job training skills. Guided by St. Julie Billiart’s educational principles, the Mission Volunteers with the Sisters educate for life. They are involved in a multi-year effort in planning for the future. They are engaging the people of La Savane in a transformational process for more services to increase access to education, vocational training, and basic needs like clean water and food for their families. 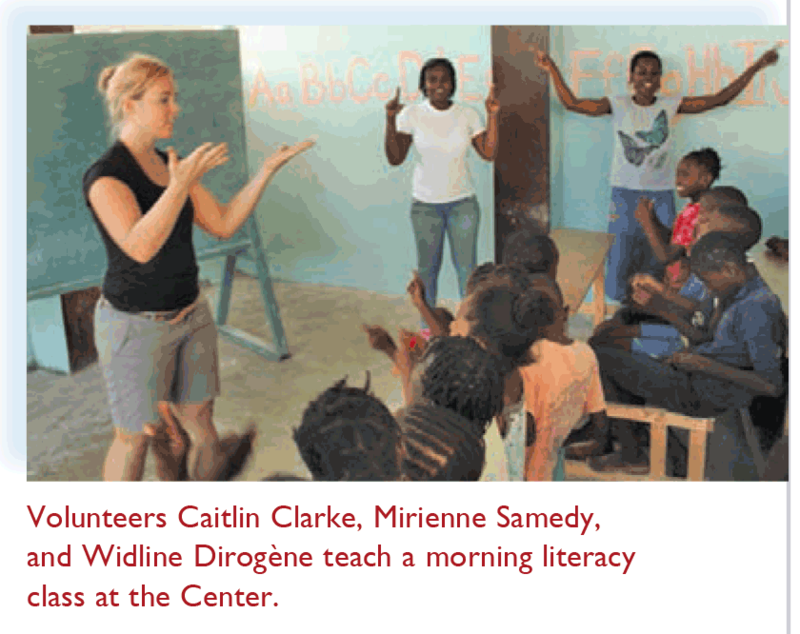 Four full-time Mission Volunteers, recruited from the U.S. and the La Savane community, are now involved throughout the year as co-leadership in literacy classes at the Center. They assist with projects related to needs outlined by the community. Inspired by commitment and energy of the people in the neighborhood, these American and Haitian volunteers work alongside nearly 200 women, adolescents, and children. Haiti is currently ranked as the poorest nation in the Western Hemisphere with 80% living under the poverty level, in being deprived of food security, access to clean water, education and employment. NDMV has been successful in establishing a strong partnership with the community and expanding the capacity of the Center to meet neighborhood needs. Like the country, the neighborhood, has many challenges. Most families cannot afford to send their children to school. In attempting to develop a holistic learning community in the neighborhood, the Sisters and lay volunteers witness firsthand the catastrophic effect of unemployment without possibilities for job opportunities, as well as the lack of educational and physical training for the children. Families ask for help in getting meaningful employment in La Savane. Parents search to rise above these seemingly insurmountable obstacles and plead for work in order to feed their families and support education for their children. In working closely with Sister Jeannette Pierre- Louis, SNDdeN, Director of the Center, the local Diocese, Catholic Relief Services, and with the local community, NDMV is addressing this need by establishing a small bakery enterprise. The bakery will offer the residents of La Savane a chance to learn a trade, become familiar with important business skills, and provide income for the people to pay for schooling their children. To have food for families and financial resources for educating the children is the primary goal. To build a bakery in collaboration with neighborhood leaders and the Sisters of Notre Dame de Namur, is a shared objective for creating jobs for twelve men and women. 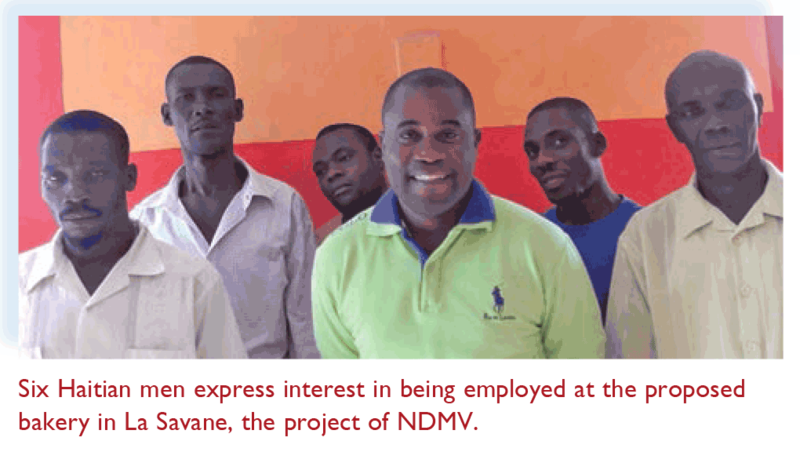 NDMV is currently engaged in a the Haiti Project to raise $150,000 as seed money to begin initial stages for opening a bakery in La Savane. This is an enormous business enterprise, and one way out of poverty for this Haitian community, while upholding the human dignity and God-given potential of those in need. The opening of a bakery is a tangible action for change of the Notre Dame Mission Volunteers and the Sisters of Notre Dame de Namur. From Good Works, June 2015. Reprinted with permission.